did hand and foot prints (on other body parts), went to see the airplanes, celebrated Dylan's half-birthday, played petting-zoo with rabbits and guinea pigs and created our own mini photo-shoot to name but a few. The final day of February saw my creative side exposed, and I (finally) made Dylan the dribble bib I had been thinking about since November. The bloke bought me a beautiful sewing machine for Christmas as I had promised I would use it all the time, and it is true that I had ideas coming out of my ears. The reality is that there are not enough hours in the day, and I rarely get round to finishing things. But I did! I made him a bib! I finished a project and have something lovely to show for it! I drew round a Funky giraffe bib as they are fantastic and fit perfectly round Dylan's chubby neck, on both a pretty fabric and a thin fleece backing fabric. I sewed them together, and added velcro. Hey presto. Not too complicated? No, but I still messed up the first two! 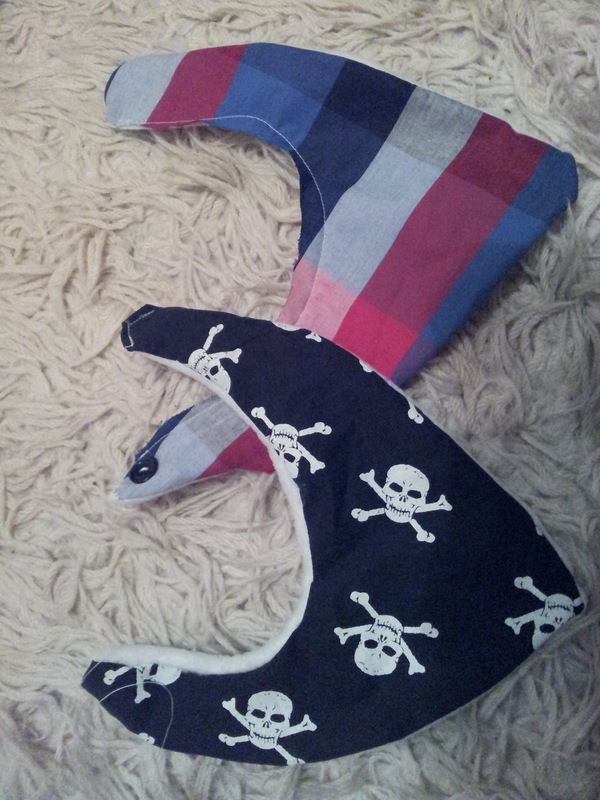 Eventually I got there, and Dylan now has some lovely new bibs, handmade by moi! Funky Giraffe definitely look neater and they have some beautiful designs, but making yourself is so much cheaper, and I am more than a little proud of them! I will be making some more (hopefully) before he stops dribbling, and already have some fab material lined up!